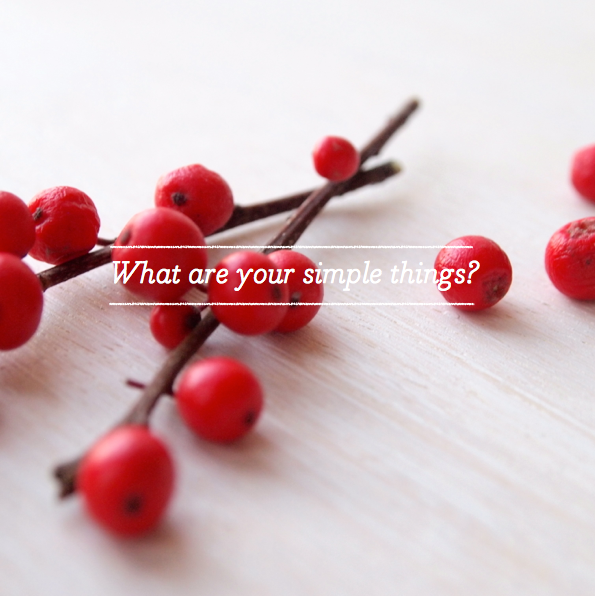 Have you heard of The Simple Things magazine? It's a relatively new title that has launched in multiple countries across the World and Mr. Bazaar was lucky enough to secure a contributing role! 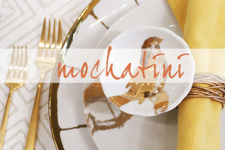 This was a big step for me in my career, so I'm very grateful to the editors for believing in my work and trusting me to curate their shopping pages. I think many of you will agree that taking on a new project is always nerve-wracking - I sure do! All I could do was throw myself into the features and work my little socks off. I did just that and, well, I'm not only proud of the results but also to be working with the team from an early phase in the magazine's history. I realised the other day that the current Holiday issue of Sweet Paul magazine is my third, which means I've been working with Paul and his team for three years - time flies! I find it so rewarding to see how far the magazine has come and I know that The Simple Things is also destined for huge things; there's such a buzz about the title here in the UK. If you are in the States you can pick up a copy in Barnes & Noble; here's a list of places you can find the magazine worldwide. Each issue is split into three sections - Dawn, Day and Dusk - which take you through simple ideas to make the most out of your day. 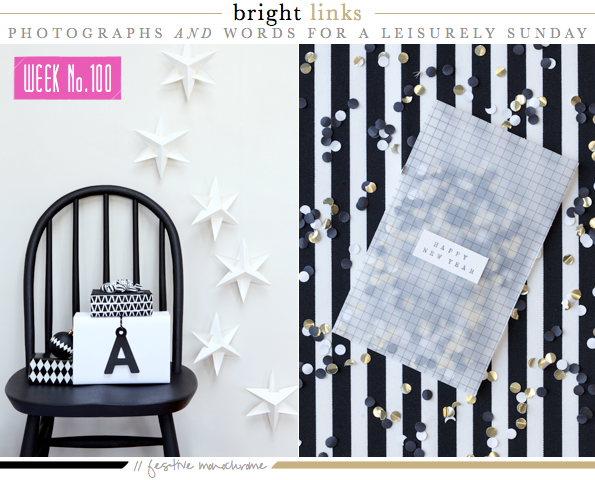 The magazine is all about enjoying the smaller things; the things that matter most in life. 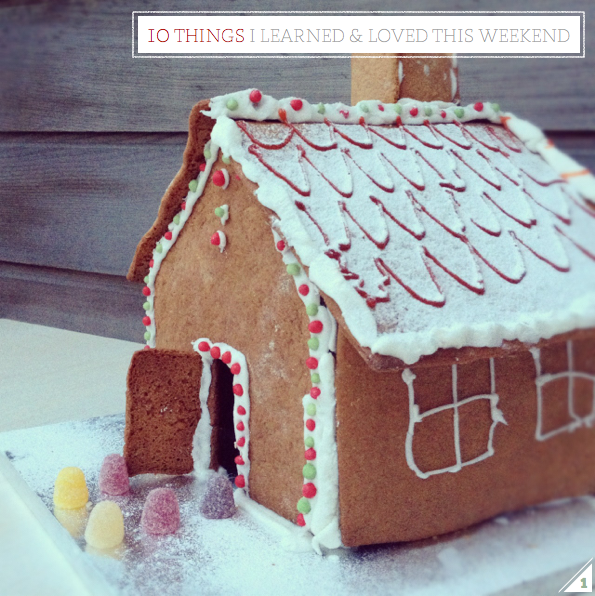 It's about slowing down, making the most of where you live and enjoying the company of friends and family. So, yesterday, I thought about this notion and curated a small collection of simple little things that are making me happy right now. 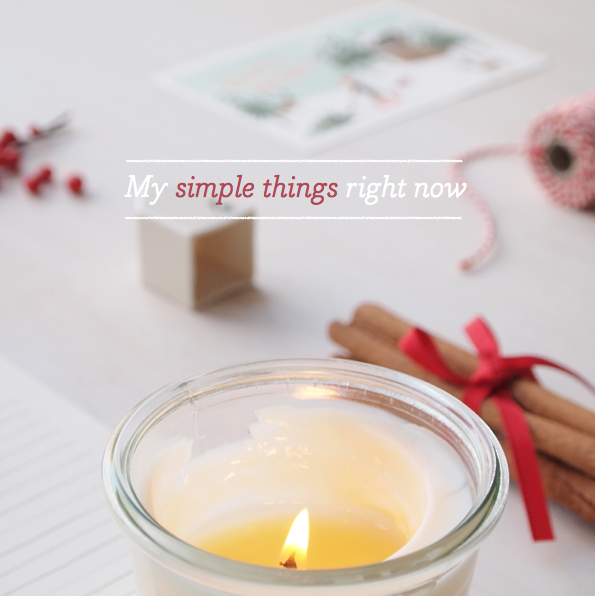 I'd love to know: what simple things in life are making you happy right now? 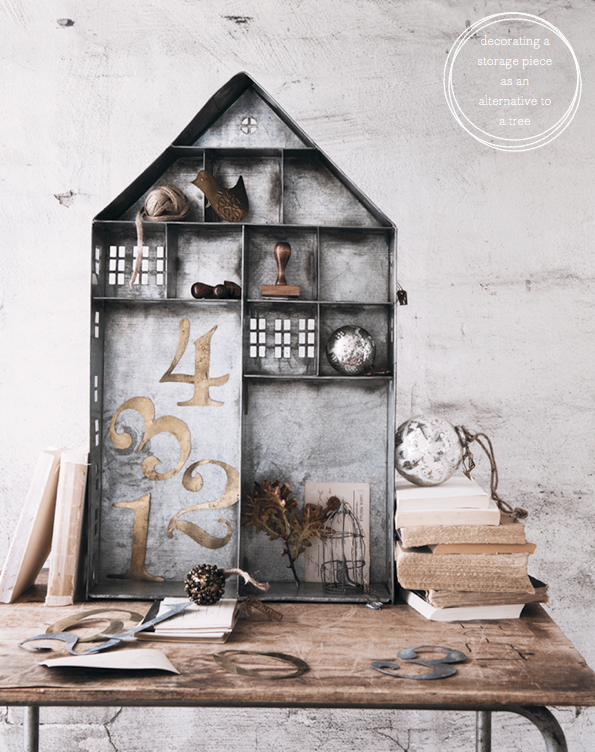 Bookcases: whether big or small I'm sure we all have one in our home, right? 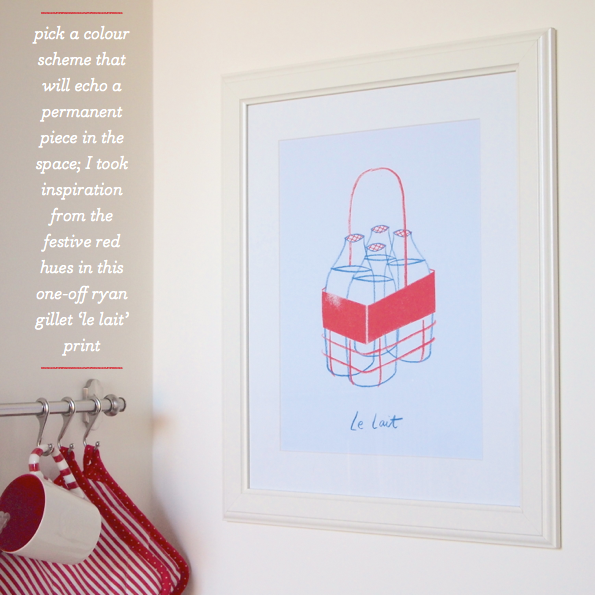 This trusted storage staple is also an ideal element for bringing colour into a space, so I decided to pull together three ideas that do just that. Up first is 'exotic brights', a refreshing lime green scheme that utilises colour in a bookcase to visually pull two separate spaces together. 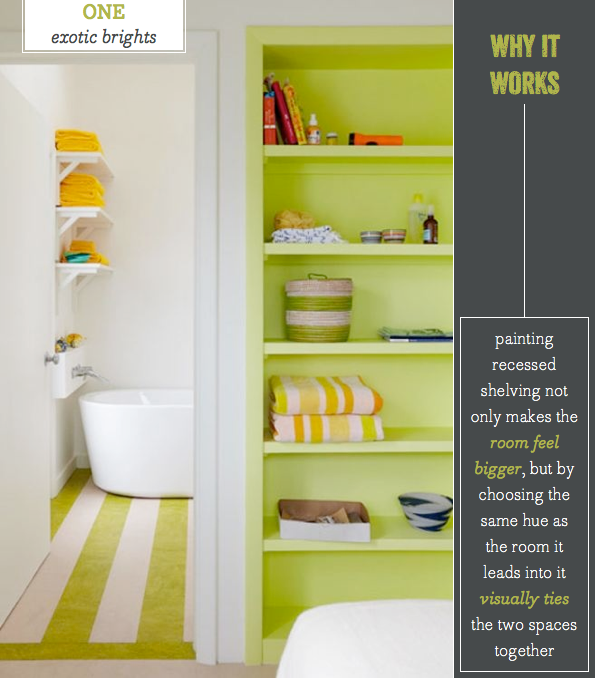 This vibrant yet calming scheme is achieved by painting the recessed bookcase in the same hue as the stripes on the bathroom floor, resulting in a cohesive and spacious look. 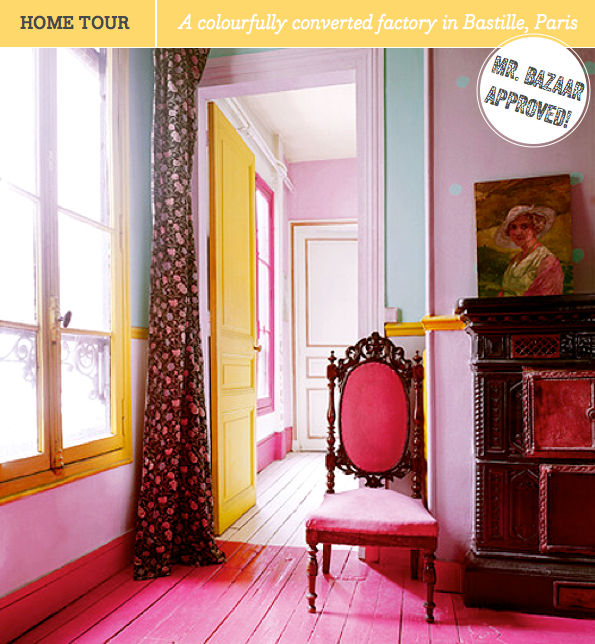 (If you're interested, I blogged the whole tour of this home last year.) 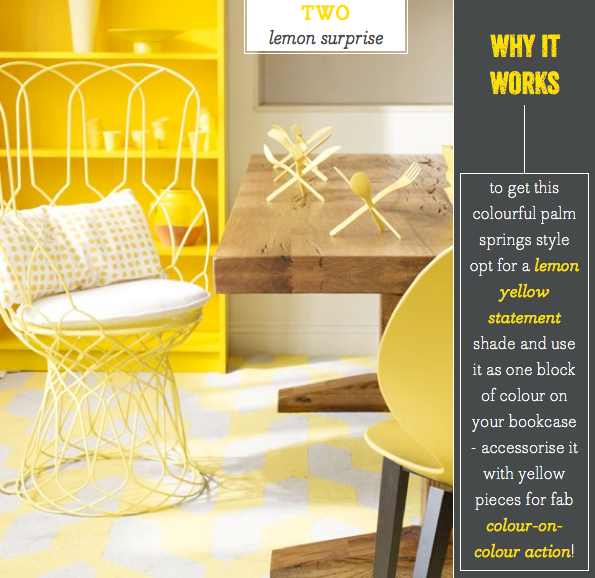 Second on the Bookcase Billboard is 'lemon surprise' a high energy, palm springs inspired space that sees a colour block yellow bookcase take centre stage. By styling your bookcase with pieces from the same palette as the bookcase itself creates a striking colour-on-colour statement out of the piece, which brings stacks of vitality to the room. Finally, my favourite of the three looks, 'eclectic pastels'. 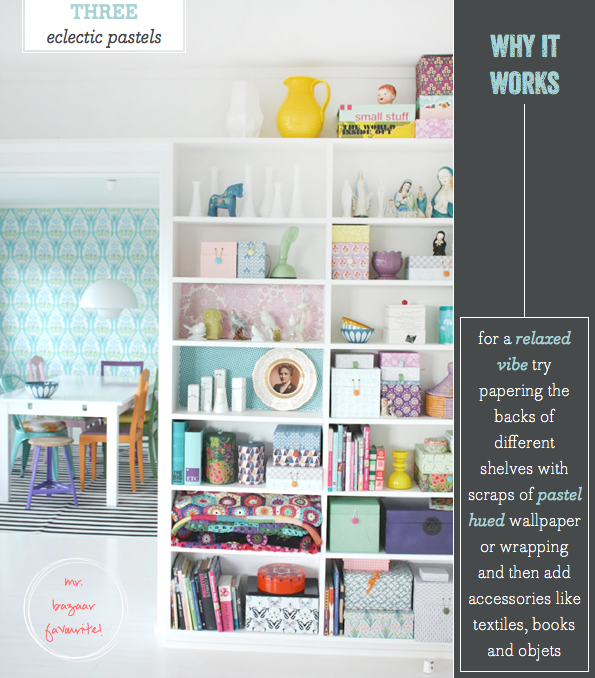 Ideal for renters or crafty types, this look sees scraps of wallpaper or wrapping papered on the backs of random shelves from which complimentary colours are added through accessories making the bookcase look relaxed and effortless - and, crucially, not messy! Which of the three takes your vote, folks? Welcome to the home of movie set decorators Etienne and Clorinda Méry, who live in the Bastille district of Paris. Isn't their home a wonderful riot of colour? It was just the hit of hue I needed to colour me inspired on this dreary November day. The home sits within a converted fire extinguisher factory and the colour schemes that run throughout were inspired by the bright colours of baroque colonial cities like Cuba and South America. Personally, I love how the home uses colour to highlight the building's best features - as well as it's shortcomings. For example, the beautiful architrave is painted in shades from golden yellow to dusty pink to make it a feature of the space, whilst in the dining room, peeling plaster is painted in a refreshing mint shade to compliment to pastel pink of the exposed brick wall behind. Using colour in this manner to create interesting and quirky features out of the home's existing 'shell' is truly inspiring, don't you think? 1. Garlands adorned with clementine skins, cinnamon sticks, pine cones and twinkling lights make for very pretty decorations. 2. After weeks of trying to find winter berries, I finally found a florist with some in stock! 3. 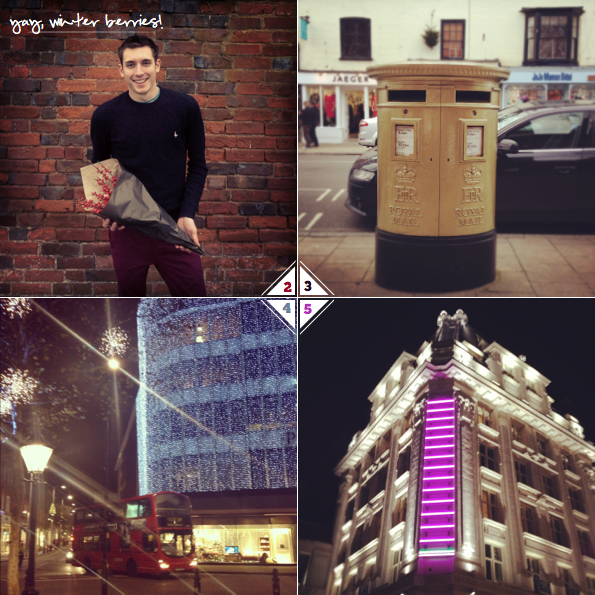 For the first time I saw a gold painted post box, which signifies a town where a British London 2012 Olympic gold medallist lives. Wasn't it such a lovely idea? 4. London is definitely at its best when it's decorated for Christmas. 5. I liked how this modern colour statement looked against the traditional architecture of London. 6. 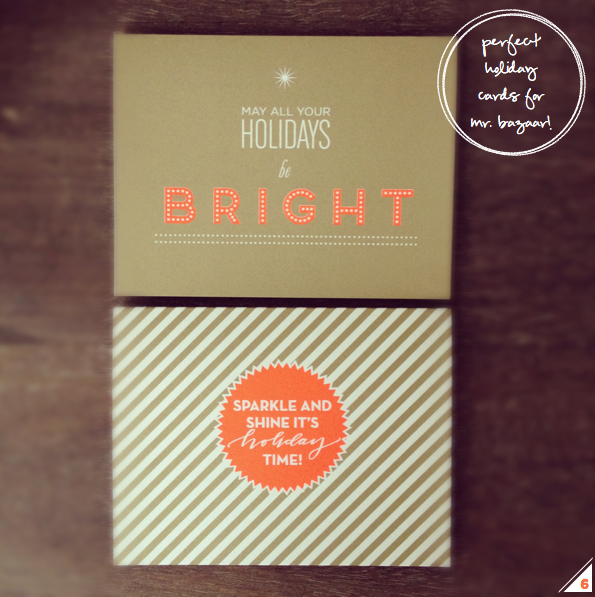 Fig2Design's holiday cards are perfect for Mr. Bazaar! 7. 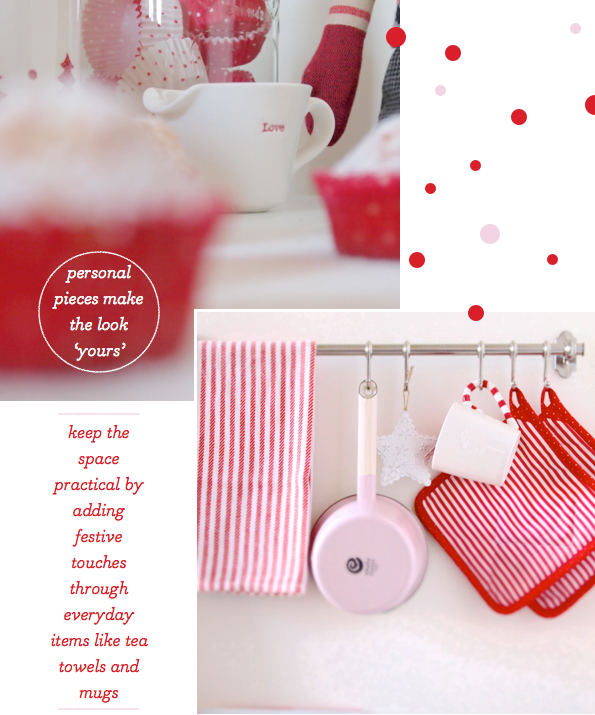 Lolipop Design's year planner is stylish and colourful is headed straight for my office. 8. I bet this Red Cedar Incense from Old Faithful Shop smells as good as the packaging looks. 9. 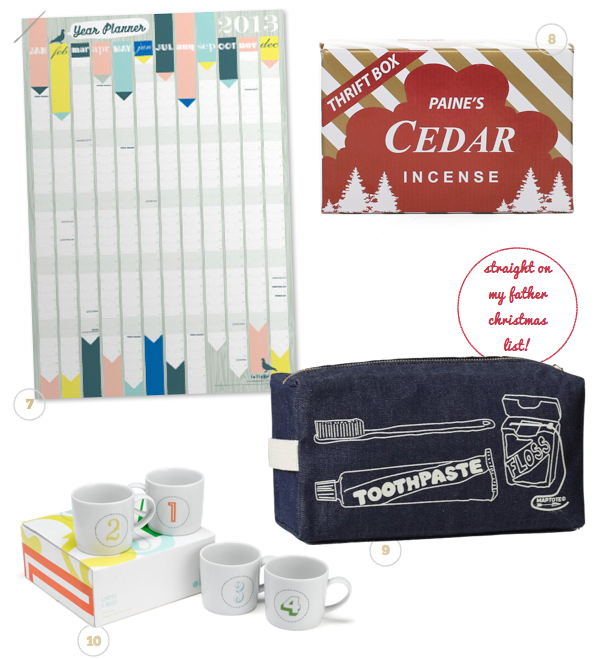 I added West Elm's playful wash bag to my Father Christmas list! 10. These colourful and typographic espresso cups by Jamie at Home are very cute. Loved this black and white Christmas shoot. 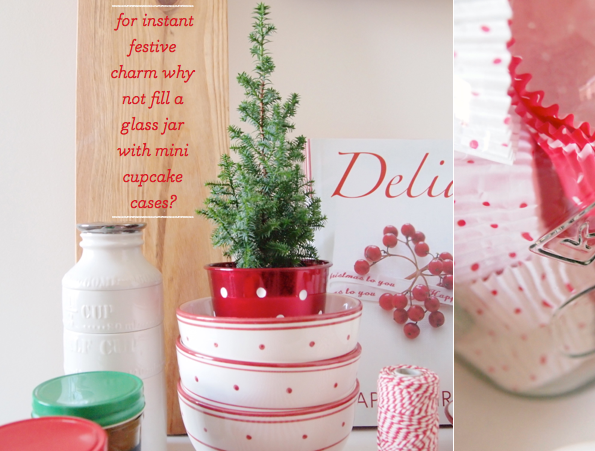 A really fun and colourful Christmas cracker DIY to try. I may be loving these cool and cosy days but this nautical home is simply too dreamy not to share! 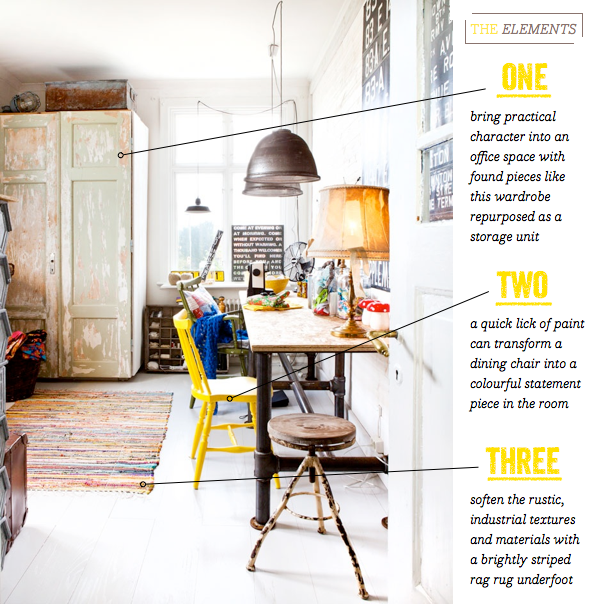 How to transform a room with a little bit of yellow paint. I loved Lisa's post on gratitude. Janis' post taught me how to make perfectly round cookies! 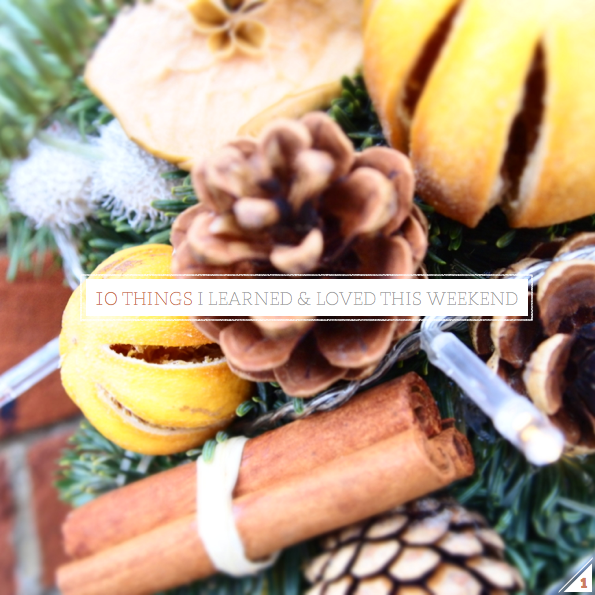 10 Things I Learned & Loved This Weekend. 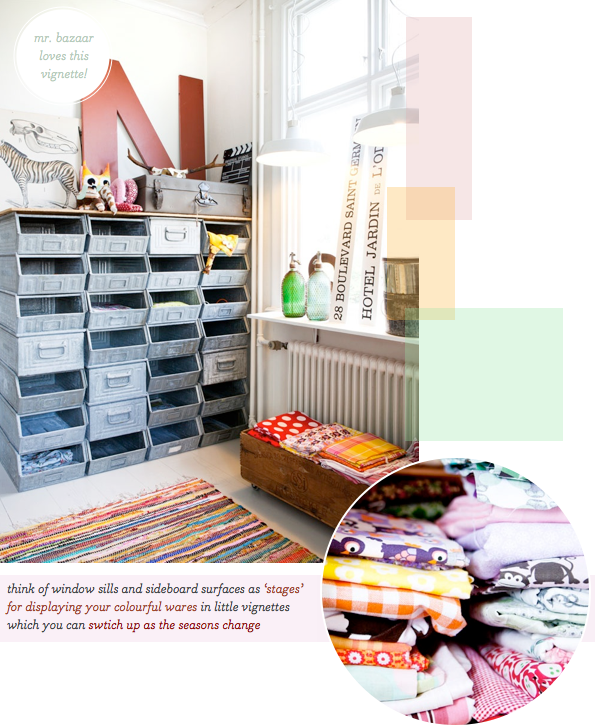 How To Create A Colourful & Rustic Home Office. 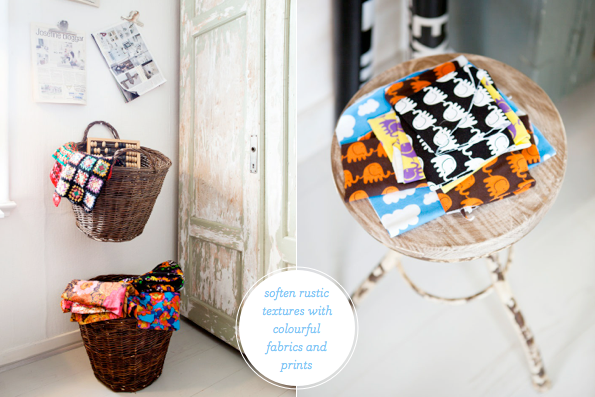 Three Ways To A Colourful Window Treatment. 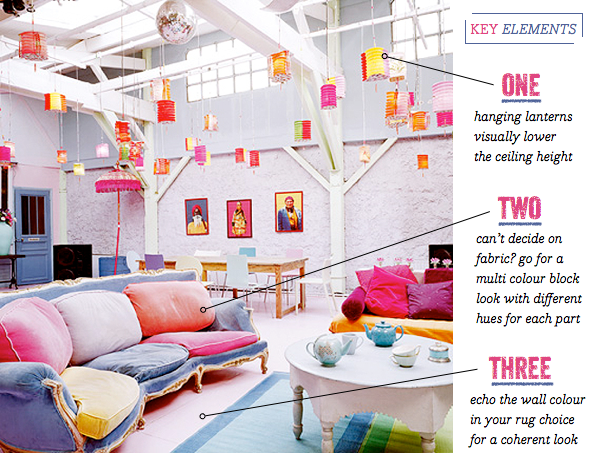 Colour Palette: How To Fuse Different Decor Styles. 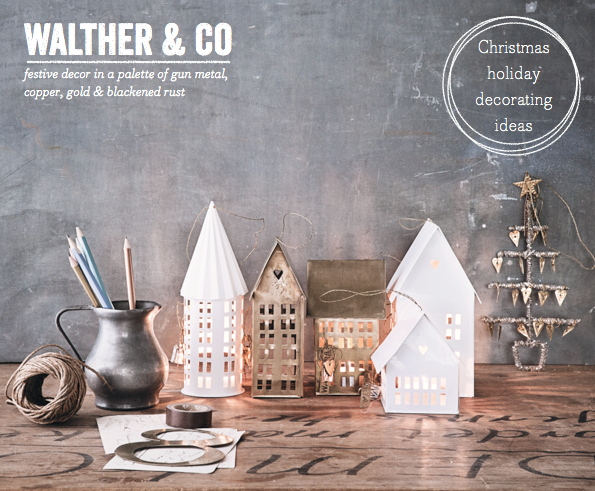 Walther & Co's Danish Christmas Decor Ideas. 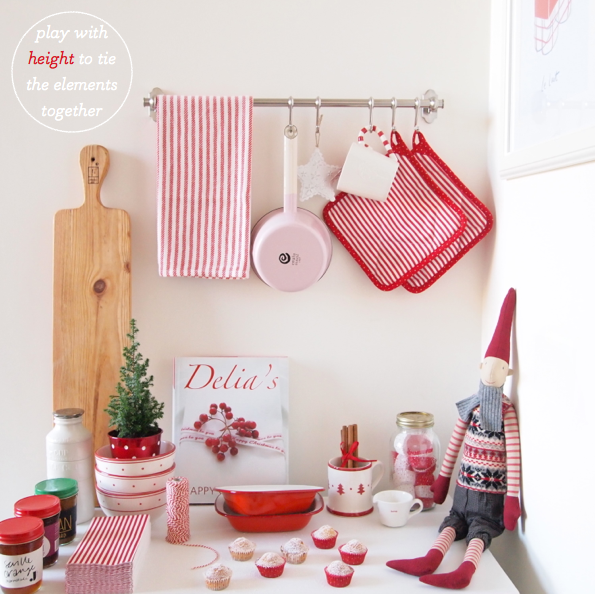 A Festive Red Kitchen Pantry. 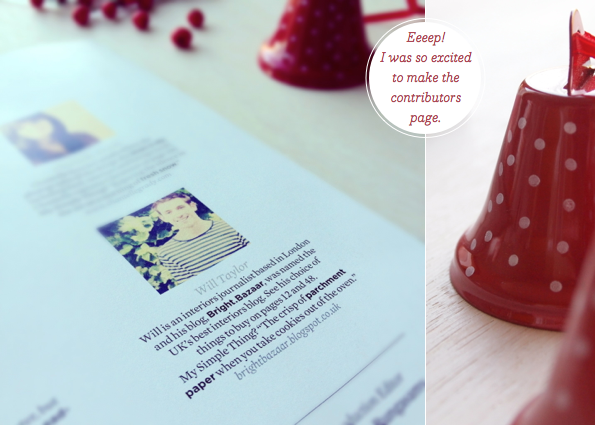 As there's only a week to go until December hits I'm well and truly feeling the festive spirit! I normally don't start decorating my place until the 1st December, but I'm not sure I can resist taking a walk through the woods this weekend to pick up some festive foliage to start placing around the apartment. Truth be told, I don't know why I'm even pretending that this might not happen because I even tried to get some winter berries from my local florist last weekend, but I was too early! What can I say? 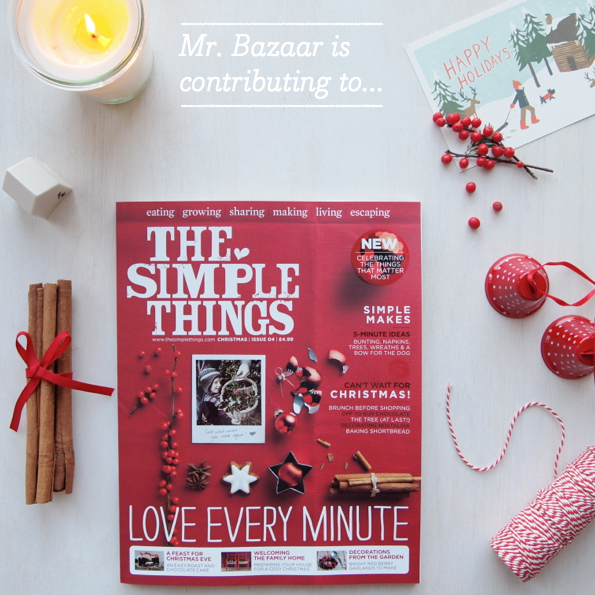 Mr. Bazaar loves the festive season! 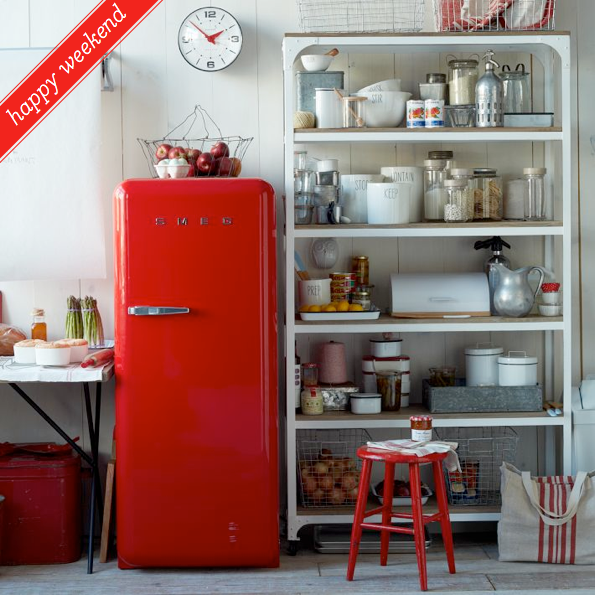 Whilst I can realistically bring smaller decorative pieces into my home, I don't have space for this beautiful SMEG fridge I spotted over at West Elm, but that won't stop me dreaming - isn't it fab? 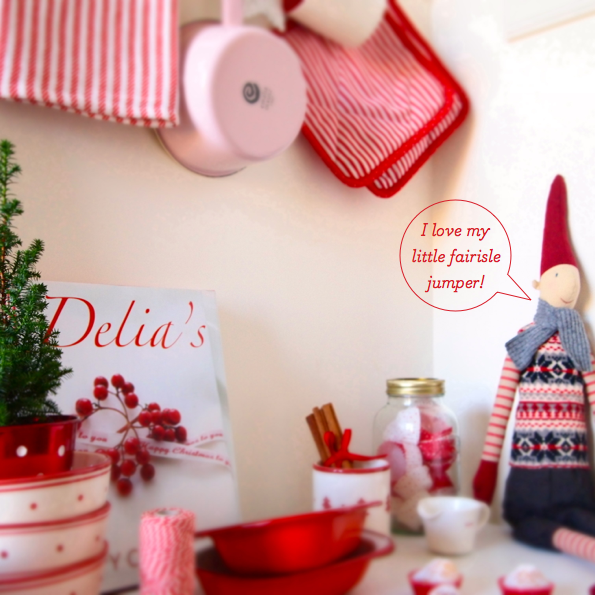 In fact, the whole kitchen space it's styled in is rather dreamy. I have very similar storage unit to this, except in black metal, and it's given me some styling ideas to try out over the weekend. How about your weekend? 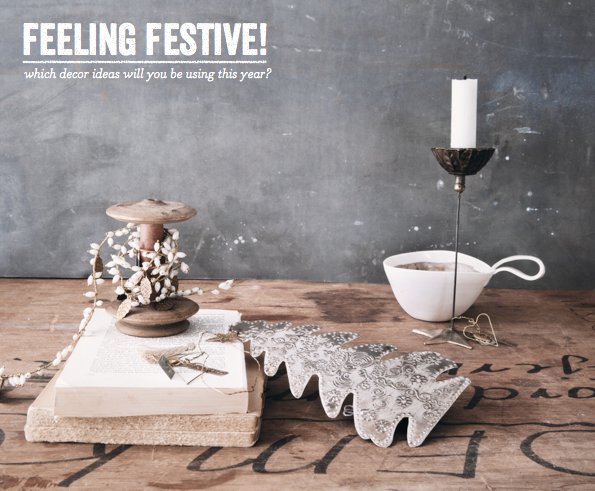 Will you be doing anything fun and festive? 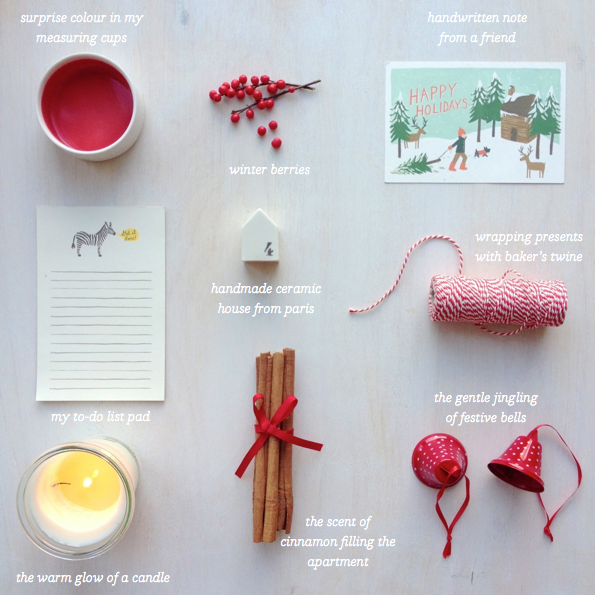 Have a lovely one, friends! 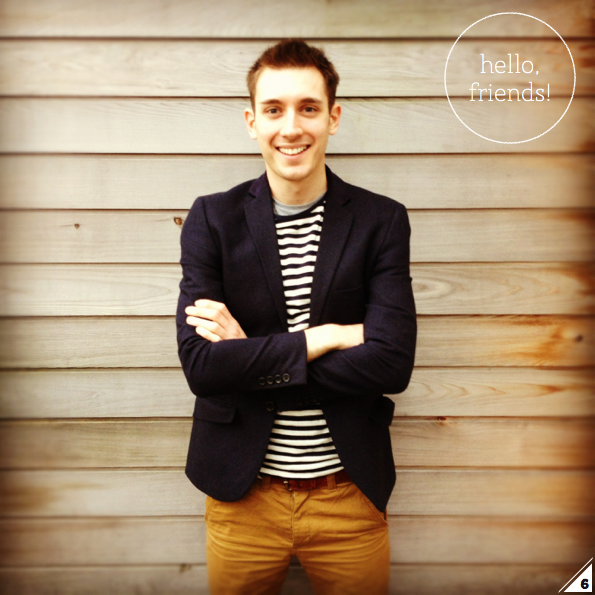 Ever since my recent trip to Scandinavia (expect some super fun blog posts on that very soon!) 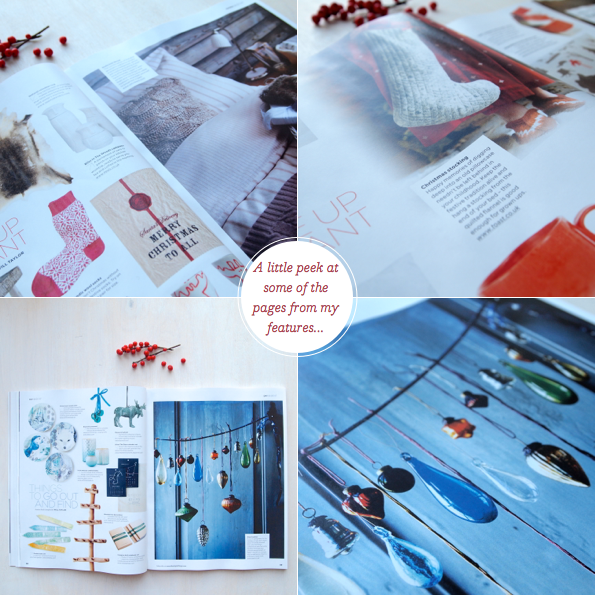 I've been obsessing over all things Scandi even more than before. 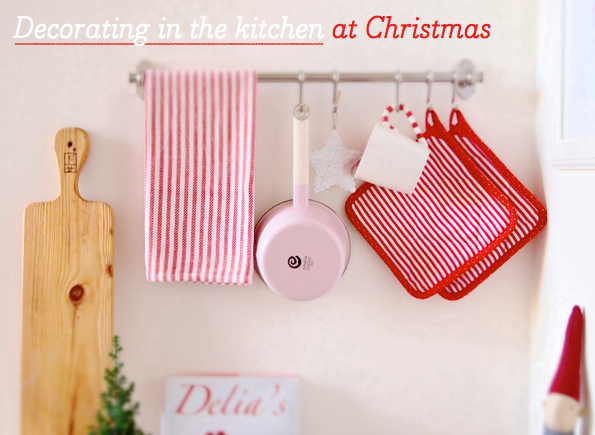 I featured Walther & Co's festive 2010 range a few years ago, and I'm excited to be sharing their new 2012 offering because, well, it's down right beautiful! 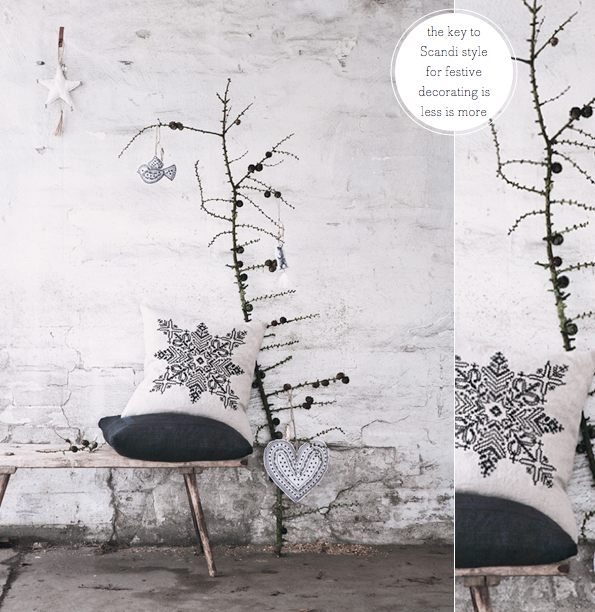 This season's collection sees the core palette of sepia and gun metal remain at the centre of the collection, which includes delicate Scandi-patterns imprinted into metal tree ornaments and plenty of tactile textiles. 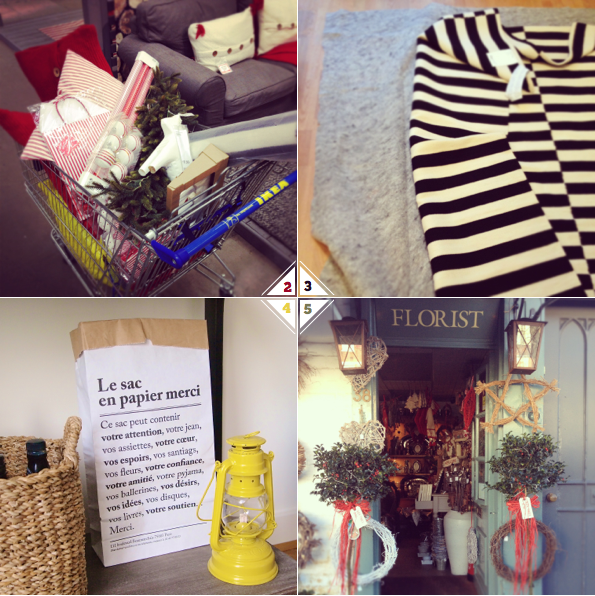 My favourite elements of this Christmas look? 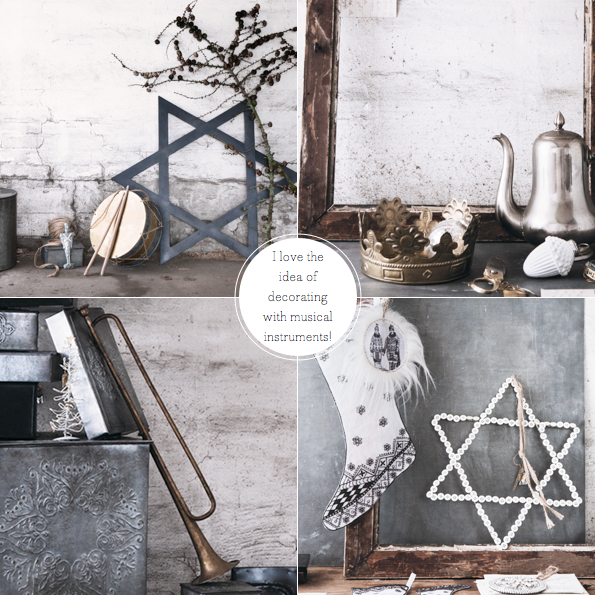 The musical instruments; I love the idea of using a drum and old trumpet to create a playful festive display. 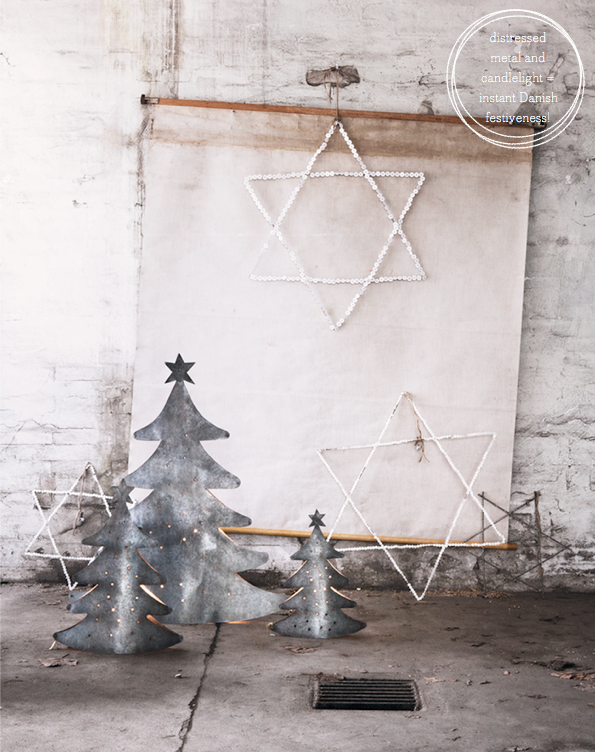 Plus, aren't those metal Christmas tree candle holders are super stylish?! What's catching your eye? This week's Colour Palette post is a bedroom scheme that successfully fuses together a number of different styles: safari chic, modern bright and traditional elegance. Three looks you wouldn't normally expect to see together, right? Well, that's what I find so exciting about interiors, those spaces and schemes that surprise and delight with their unexpected elements. So what part has colour played in fusing these styles together? Well, a lick of true blue paint transforms a traditional four poster bed into a modern statement piece; a french rose fabric brings new life to a tufted chair; and neutral shades of gold and brown used across textured pieces like a hide rug and bare wooden furniture ground the brighter elements of the scheme. Which elements of this bedroom do you like and why? Have you ever fused different styles together when decorating? P.S. Happy Thanksgiving to all my American readers, I hope you have a wonderful holiday! Windows are an ideal place to bring a colourful statement into a scheme because they provide a 'readymade' zone in which to add in colour, pattern and texture. These three rooms show how three different types of window treatments - blinds, shutters and curtains - can each become the anchor point for a whole scheme. 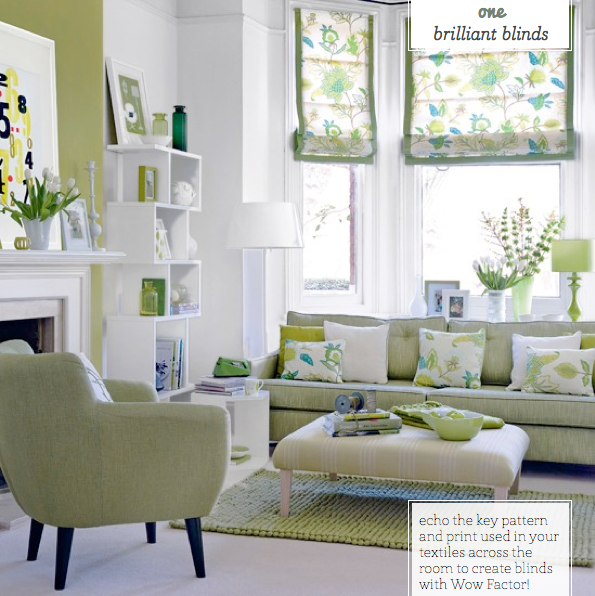 The first room looks at 'brilliant blinds' and shows how a pretty and detailed fabric can confidently be the key focal element of a scheme. By choosing a pattern with lots of detail and different shades, it gives the opportunity to reference this main statement across other parts of the scheme, such as the rug, sofa and throw cushions. The result is a cohesive and coordinated final look. The second space, 'statement shutters', is a fine example of how picking one accent hue and introducing it to an all-white space can create a colourful look that still feels sophisticated and fresh. Note how no pattern has been introduced to the room: it's this lack of pattern that makes the introduction of a single hue, in a single shade, so impactful. 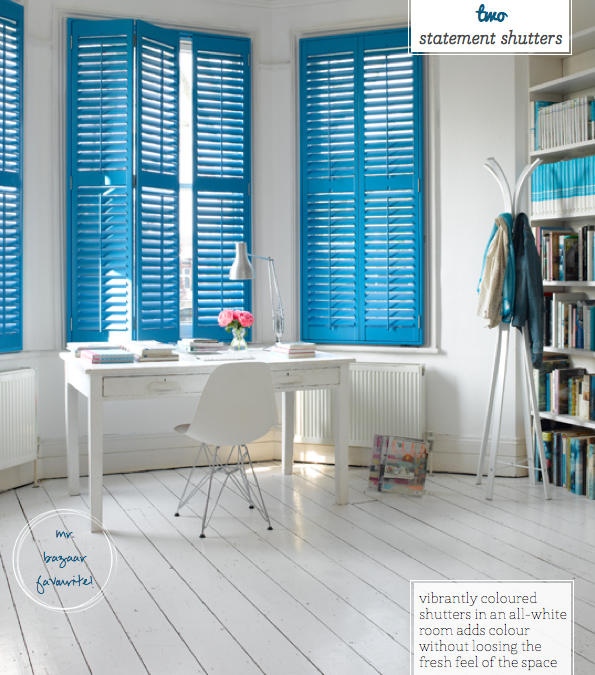 I love the European feel that shutters bring, especially in this beautiful Greek blue colourway. 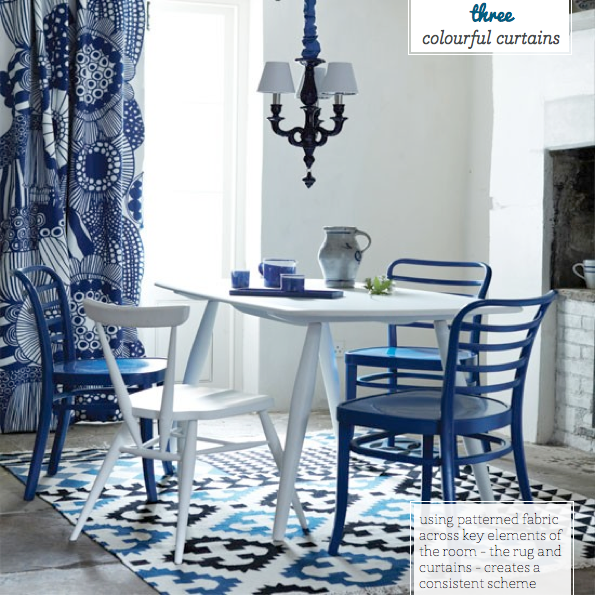 Finally, 'colourful curtains' shows how introducing curtains as a window treatment can soften a harder scheme, bringing warmth to a cooler colour palette like white and blue. If shutters had been used in this final scheme, there wouldn't be any softer elements in the scheme to balance the furniture, slab flooring and white walls; this is why curtains work perfectly in the space. Which of the three ways is your favourite, folks? As I work from home, my office space is one of the most important rooms in the whole apartment. 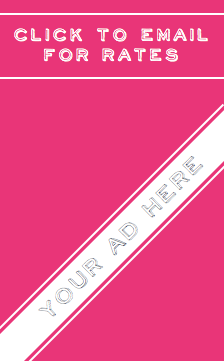 I need it to be colourful (OK, that was a given! ), practical and energising for all those long hours in front of the laptop. 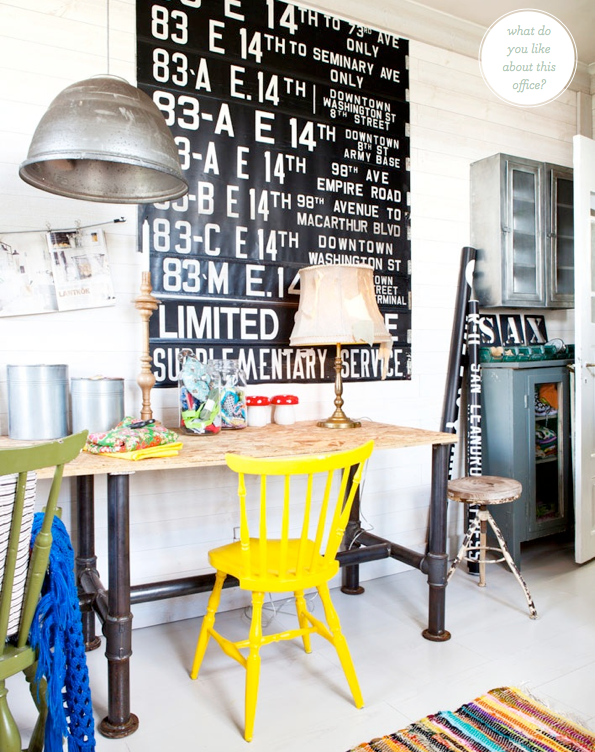 So, when I happened upon this colourful and rustic home office, I knew I had to share it here on Bright.Bazaar. The scheme is an effortless mix of weathered, rustic materials like metal and bare wood. 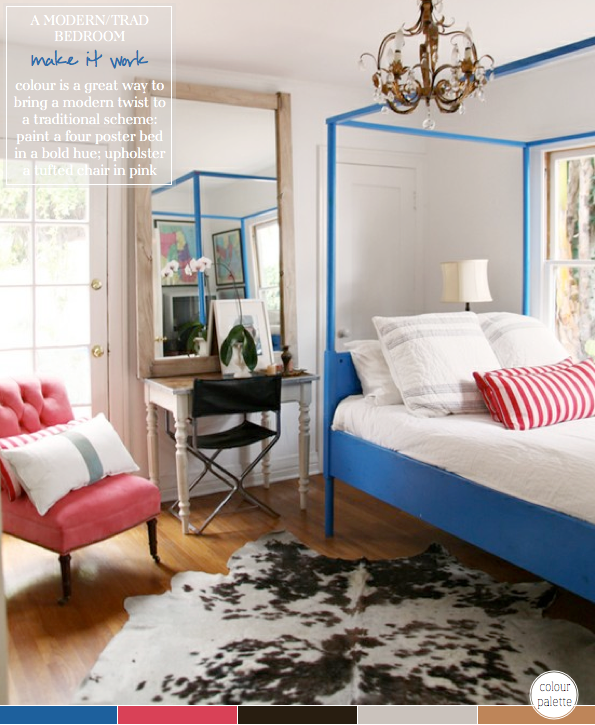 paired with brightly painted gloss pieces and rag-like textiles. 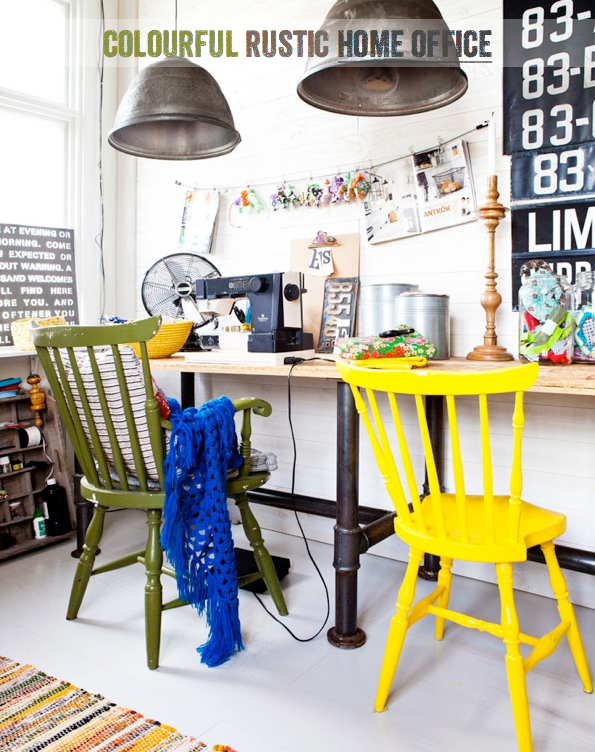 It's these colourful additions that give this room it's heart and personality: the visual surprise of the two colourful chairs brings a new angle to what would otherwise be a generic, paint-by-numbers industrial meets rustic scheme. The two chairs also serve to soften the harder, rougher vibe that flows through the rest of the room. Laying the rag rug in the centre of the room makes good use of the free space to bright another hit of hue into the scheme. By opting for a rag-style rug, as opposed to a high pile wool rug, it means this key textile piece sits comfortably alongside the heavier industrial furniture. This is because it brings just enough comfort and tactile texture without being too much of a juxtaposition with the more rustic pieces; pushing this contrast further would compete with the statement already created between the gloss bright chairs and the metal and wooden desk. 1. My first attempt at making a gingerbread house had a rather amusing result...! Things I learned: I need to be quicker at pipping the icing so it doesn't start to set in the bag, becoming impossible to pipe; I should remeasure and resize the pieces once they cooked; when planning on photographing it, I need to leave enough time so that I'm not racing to finish it before the goes down! 2. I can't go into IKEA just for a rug and come out without a trolley full of fabulous and super affordable Christmas decorations! 3. I laid down my new rug in the living room; the underlay makes it feel really tactile underfoot. 4. The type on Merci's paper bags is fab. 5. How sweet is the entrance to this florist's shop? 6. I can't help but smile when I'm wearing stripes! 7. 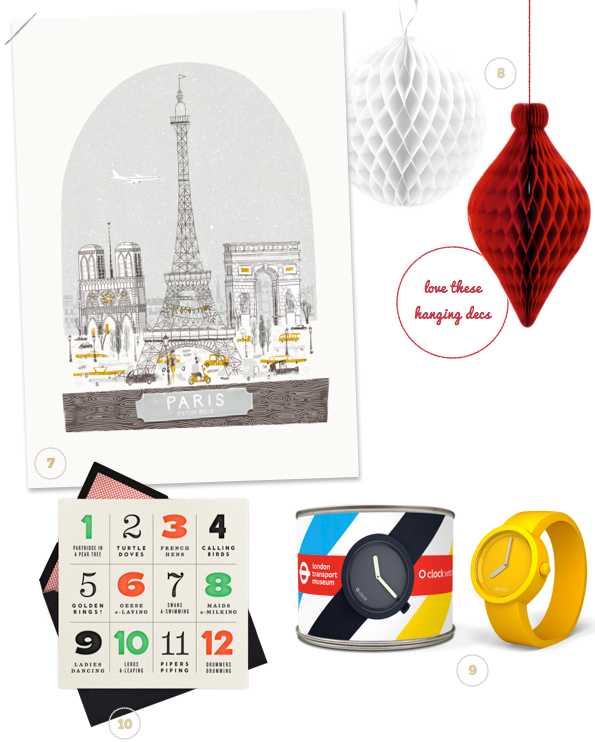 I'm truly, madly, deeply in love with this festive Paris print! 8. This year's seasonal decor calls for stylish paper decorations. 9. Love this colour block watch. 10. This is my kinda Christmas card - colourful and typographic.